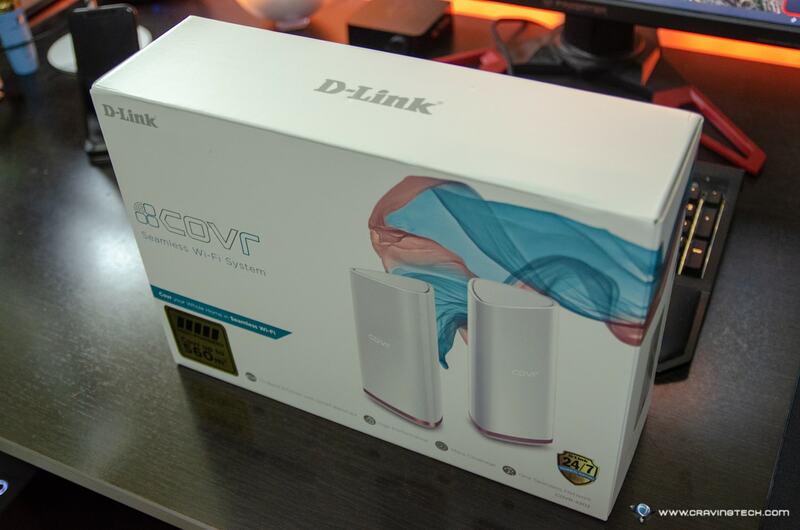 D-Link COVR-2202 Review – I’ve got the COVR-2202 Mesh Wi-Fi system when I was still living in an apartment with an FTTB (Fiber To The Building connection), and because it does not support VLAN IDs (required to run on TPG), I waited. 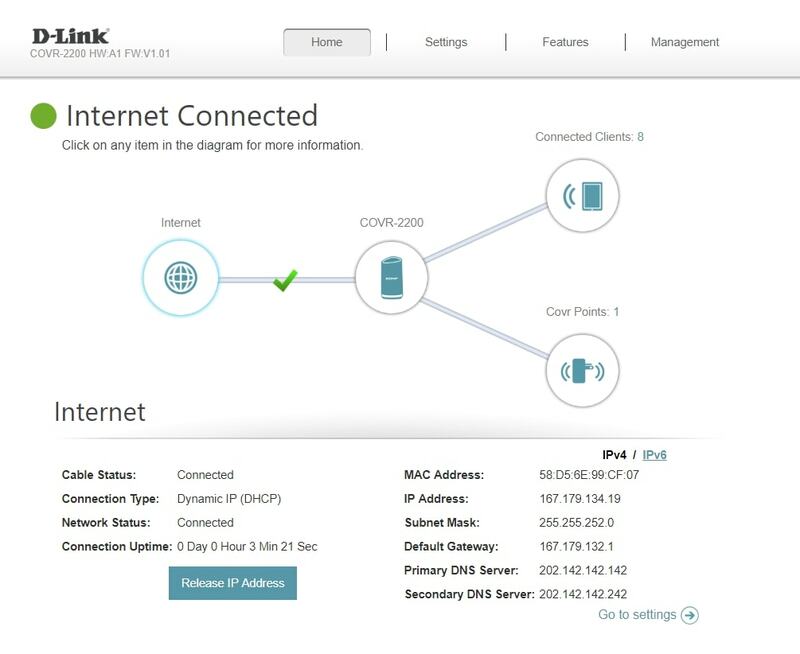 And now, D-Link COVR-2202 has been up and running since day one as soon as I moved into a new, double-storey home early this month. So far, it’s been running solid and I’ve been getting stable wireless connection both on the Ground and First floor. While I have a few hard-wired Ethernet connections throughout the house, I don’t think I’ll ever need them. It was one of the painless setup possible, especially with my NBN from Aussie Broadband already up and running. It literally only took me minutes to have my home Wi-Fi all set up (with 1 Covr Point in the garage, and another upstairs). 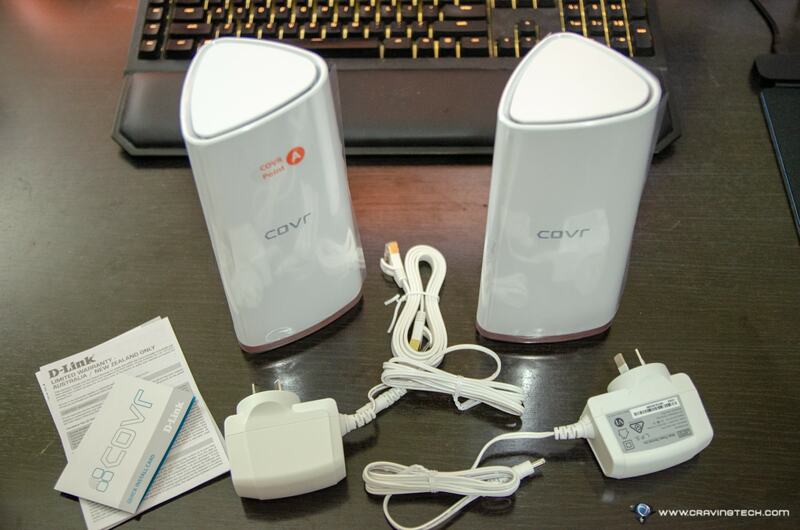 The COVR-2202 is one of the best designed mesh routers in my opinion. It is super stylish and definitely does not have the traditional look of a router, which is good if you have a modern-styled home. Its slim design makes it easy to place on a table or a cupboard, while adding a somewhat aesthetic value to the room. But enough, you are not interested in mesh networking routers because of their looks, but for the reliability and performance they offer. With 2,200Mbps Tri-Band Wi-Fi, and 11ac Wave 2 with MU-MIMO, D-Link COVR-2202 has plenty of power to unleash at home. D-Link also claims that its built-in amplifiers can cover an area as large as 560 square meters! Obviously, things will be more challenging when signals have to go through plasters and concrete, but at least we know the included six powerful antennas do their job well. I actually have to put one Covr Point inside my garage (where the NBN NTD box is) but it still offers a good signal still throughout the home. Without the second Covr Point turned on, I got 60% Wi-Fi Signal upstairs in the Study area. Thanks to the power of mesh networking, I placed the second Covr Point upstairs and voila, my Wi-Fi signal strength was significantly improved to 93%! With Covr, there is only one SSID being broadcasted to the entire home. It will automatically handle connecting your device to the closest Covr unit with the stronger signal (i.e Smart Roaming feature). As a result, as I walk around the house up and down with my device (say a smartphone), I don’t lose any connectivity at all and I do not need to switch to a different SSID manually (like what wireless extenders usually do). You don’t need to select which frequency is best for your device to connect to (especially if you don’t know much about networking). D-Link COVR-2202’s smart steering will take care of this decision for you and when there is a network congestion, devices will be moved around to the other wireless band automatically to keep the network lag free. The best part is of course this is being done behind the scene and you don’t even need to know. 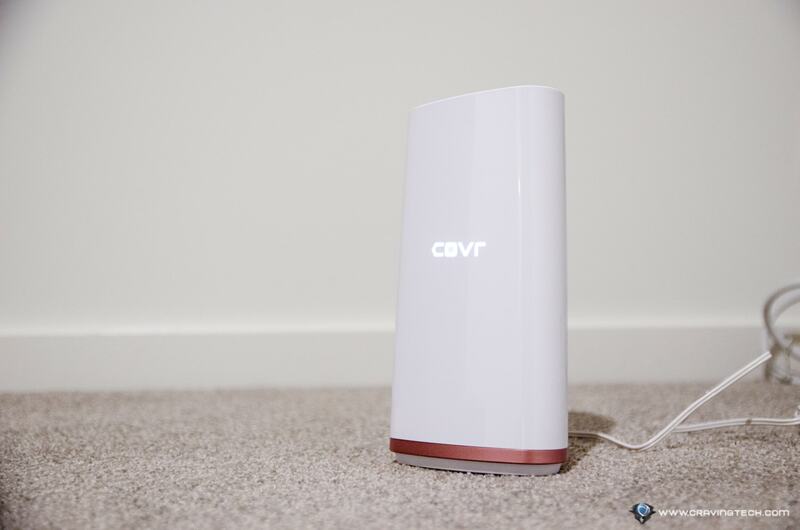 Covr Tri-Band seamless Wi-Fi System can further be configured to suit your family needs, such as Parental Controls, Firewalls, and all the usual stuffs. But if you don’t need those, you can just “plug and play” once the Covr Points are all set up. However, having only 2 connection points (i.e Ethernet ports) per Covr Point is pretty limited. 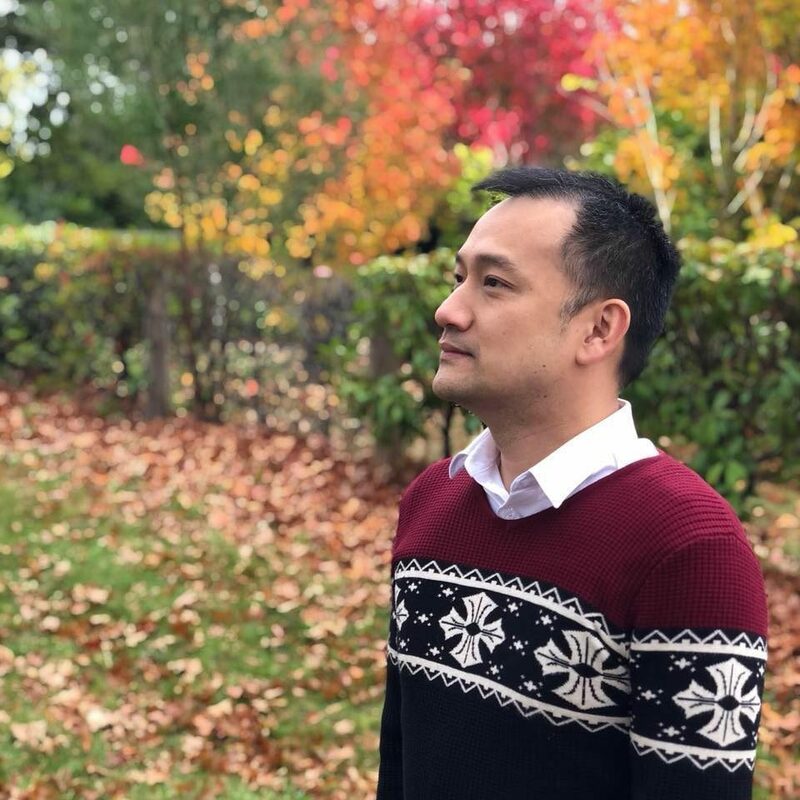 With the included 2 Covr Points, you’ll only get 4 connection points in total – but one will be used to connect to the NBN’s NTD Box. That leaves 3. Now, if you have a few smart devices like the Philips Hue smart lights and WD My Cloud Home NAS/Backup system, you’re down to 1. 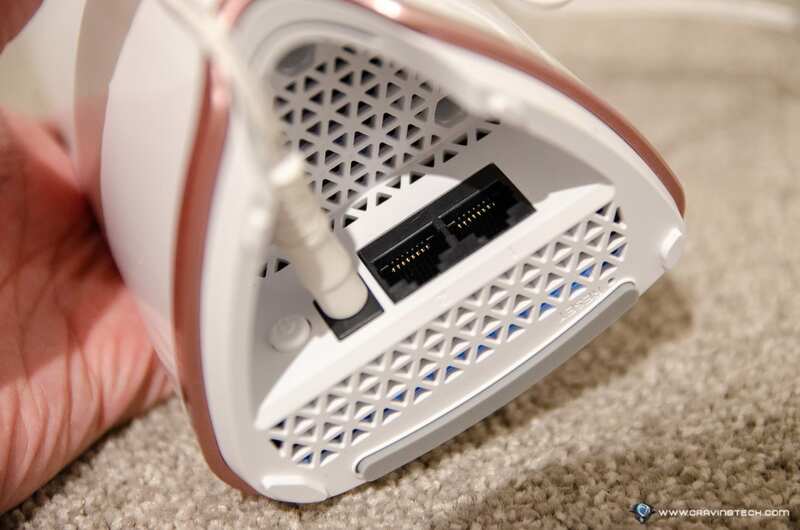 You may want to hook up your TV and PS4 with a network cable for a more solid connection, but you are already out of available Ethernet slot. Or like mine, I have a local security IP camera system plugged there as well. But with most devices nowadays offering wireless connectivity and that my wireless connection has been stable so far (Samsung TV + playing Overwatch with my gaming PC), you’d be happy with the D-Link COVR-2202 for sure. I only have my Philips Hue bridge hooked up to it at the moment. D-Link COVR-2202 is indeed a powerful mesh solution to my home that offers strong, solid connection throughout concretes and walls. I have my Philips Hue smart bulbs, gaming PC, Samsung 75″ TV, and two Ring security devices (Doorbell Pro & Spotlight Cam Battery) hooked up wirelessly to it. Living in a double storey home can be a challenge, especially because there are lots of plaster walls, concretes, or bricks to go through and wireless signals can get pretty weak. With the additional Covr Point included in the packaging, though, you can get great signals throughout your house as it extends and boosts the wireless network at the same time. With COVR-2202 running seamlessly, you’ll just find that everything works as it should be and you’ll have a solid, stable wireless connection wherever you are in the house – even while moving around. D-Link COVR-2202 can be purchased at AU$499.95 RRP from D-Link Australia website or major retailers around Australia.